The Davis women get to the church. Alexis is surprised to see Sonny there. Kristina says she wants a truce between Sonny and Julian. Alexis points out that Sonny despises Julian. He claims he&apos;s doing this for Kristina and swears he&apos;s not going to cause trouble. Anna tells Michael that she needs to reach Sonny. She admits that there&apos;s a federal investigation happening and doesn&apos;t want anyone from the Corinthos organization to interfere. Michael figures this has to do with the arms dealer that Dante mentioned. He promises that there won&apos;t be any trouble from them. 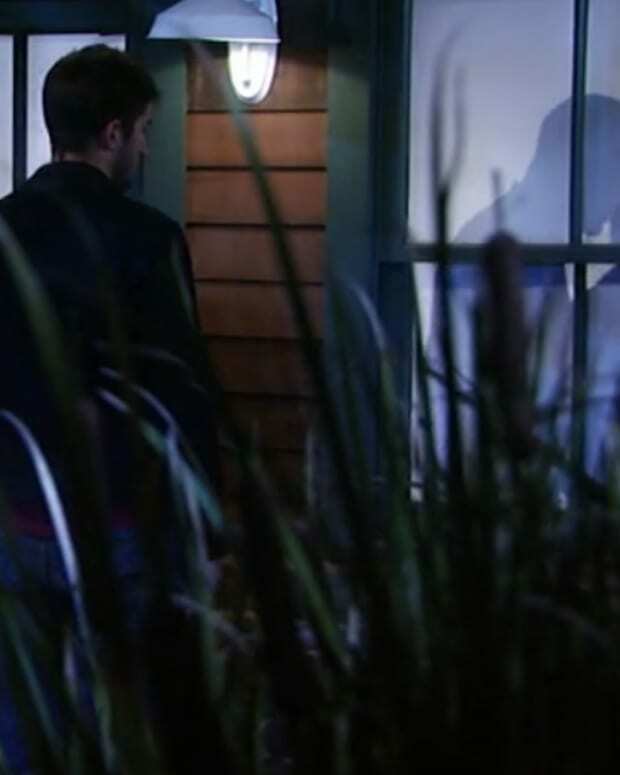 Morgan lurks in the shadows while Paul and Dixon try to continue their transaction. Paul calls Anna to update her. Dixon wonders who he&apos;s speaking to. Paul claims he&apos;s misdirecting the police so that they don&apos;t interfere. 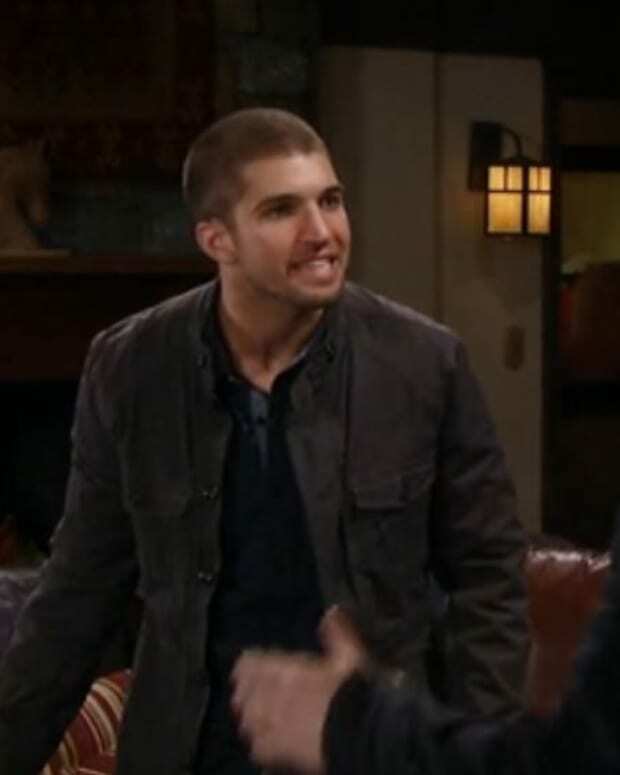 Maxie tries to rush Nathan to get ready for the wedding but tells him that he won&apos;t need his gun and to leave it behind. That&apos;s not a good sign. Josslyn surprises her mother with knowledge that she&apos;s aware of what Sonny really does for a living and thinks that it&apos;s cool. Seriously show. Jasper Jacks&apos; daughter thinks being a mobster is cool? It&apos;s bad enough that I have to sit through Michael being A-Ok with Sonny killing his father. Now Jax&apos;s own daughter is a Sonny cheerleader? Carly runs into Kiki and apologizes on behalf of Morgan. She begs her to be a friend for him. The Davis coven share a toast before the ceremony begins. Brad shows Lucas his divorce papers from Rosalie. Olivia&apos;s still rattled over her vision and decides not to bring Leo to the wedding. She&apos;s surprised to see Sonny there, but he promises to behave. Franco&apos;s not happy to attend the ceremony, but Nina reminds him that Julian is her boss. She&apos;s thrilled about weddings and talks about theirs. Franco is adamant that he has no interest in getting married, which hurts Nina&apos;s feelings. Carly gets to the house and wonders why Anna is there. Josslyn finds Sonny&apos;s gun case. Michael opens it to find it empty. Carly realizes that Morgan has taken the gun. Anna wants to get the police involved, but Carly begs her to let them handle it. Kiki listens to the message from Morgan and tries to reach him. Kiki calls Michael and tells him that Morgan was going to Pier 54. The wedding begins. Sam and Molly both read a sonnet. Morgan is discovered lurking in the shadows. He tells the men that this is his father&apos;s territory and that it&apos;s a big mistake for them to run their product through it. Morgan says he&apos;s there to protect Sonny&apos;s interests. Dixon wants them to get rid of Morgan, but Paul says he doesn&apos;t want any trouble with Sonny. He promises to handle the problem. Morgan refuses to leave and pulls a gun on the men.